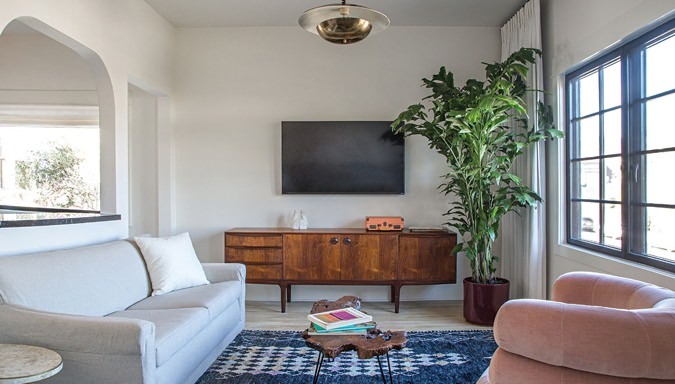 Design Ideas to Swipe from LA's Coolest Hotel | Valet. There are plenty of well-appointed places to stay when visiting Los Angeles. But some of the best properties these days are less like your standard hotel and more like stylish apartments—offering cool, personalized interiors that offer all the comforts of home. 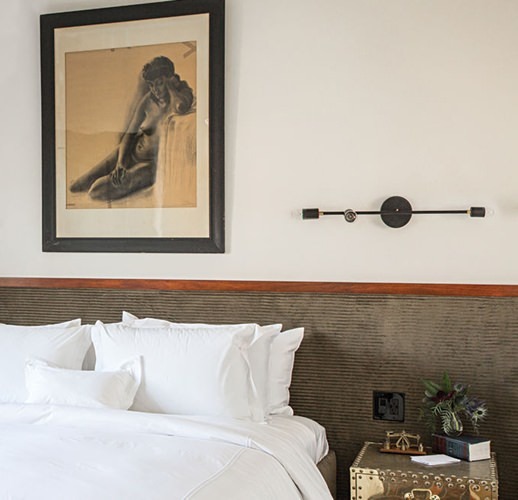 Case in point: the Hotel Covell, a boutique hotel in the Los Feliz neighborhood that ticks all of our design boxes. 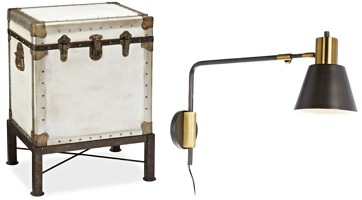 Herewith, a few interior cues that you can use when pulling together your home. 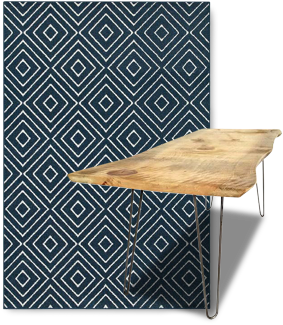 Woven area rug, from $179.99 at Target and live edge table, $325 by Northern Wood Co.
For smaller living rooms, swap out a large coffee table for a smaller bench like this live-edge wood option with hairpin legs. Define a seating area within the room by arranging your chairs and sofa around a rug. And make your ceiling appear taller by hanging drapes as high as possible. Get some paint, an inexpensive board from the hardware store and a small can of wood stain and you've got all you need to make this wall-to-wall headboard. Mount some sconces above it for an even more polished look that will give you more space on your nightstand as well. Salvage as much floorspace as you can by mounting shelving to the wall. 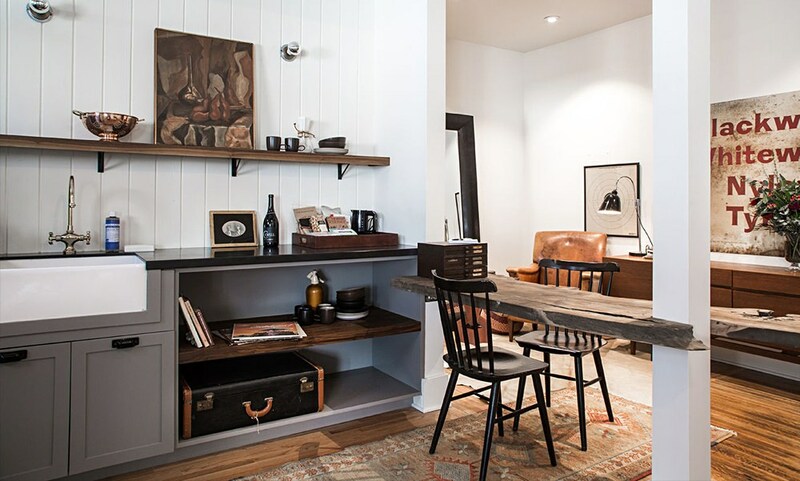 You can even incorporate a small but useful desk or bar into the set-up. 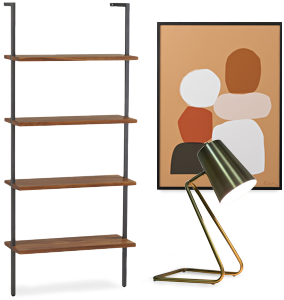 CB2 sells a similar option or you can go the DIY route with this handy tutorial from The Brick House and build it with hardware store supplies for about $200. Want to stay at the real thing? Book a room from $245 a night.